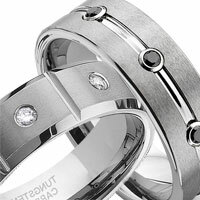 Looking for classic wedding band that stands out, you found it. 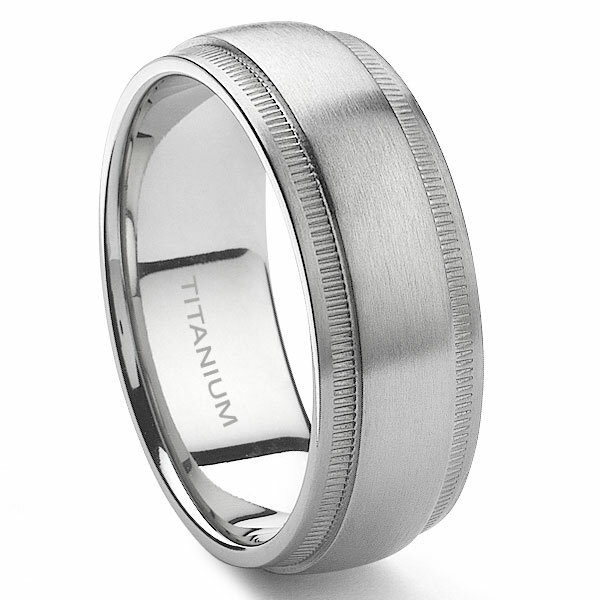 This is a unique titanium wedding band ring that features milgrain style, just like traditional gold and platinum wedding bands. 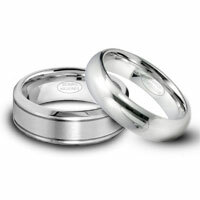 The center part of the ring has a satin finish. 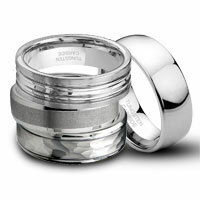 Titanium Kay is the pioneer in crafting titanium rings with this classy milgrain design. 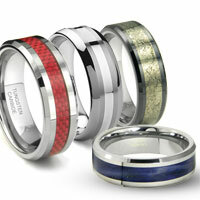 This ring is available exclusively on TitaniumKay.com and you are not going to see it in any other store or website. Rating: 4.2 / 5 , based on 4 reviews. 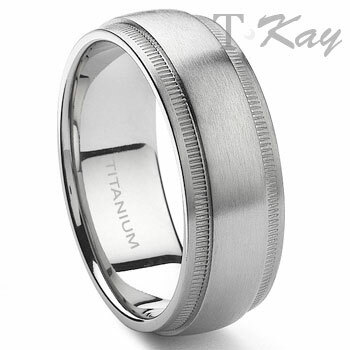 High quality and beautiful ring, highly Recommend Titanium Kay! The ring is great. Although it is not as shinny as it seemed to be in the picture. The width is good and the amount of time it took to get the ring was great. It was in my mail box in aprox. 4 days with the free shipping. One great thing about this ring is the price... i look around and could not beat the price. My wife and I like the ring alot. Delivery time was excellent! Like the lightness of the ring and the design. Would like info on care of ring, cleaning and removing scratches and any other hints would be great.